You know what is #Selfie? 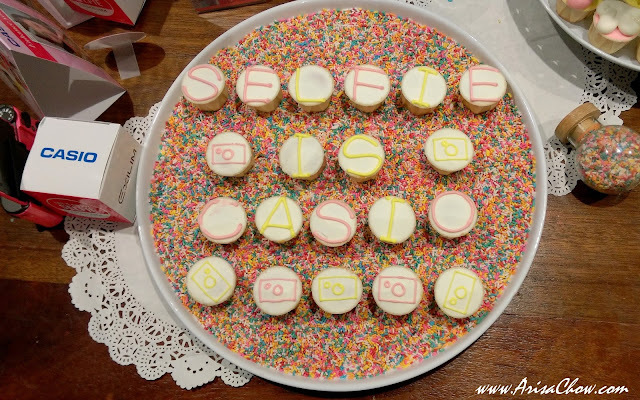 If you don't let Casio the selfie camera expert teach you how to be one! It's all about the trend of #selfies right now that it is a basic MUST to have a beautifying & WiFi transfer function in each compact camera if not it would deem rather useless for today's youngsters lol. Understanding the selfie trend is an easy one as it is proven to make life easier for those who want to get a group shot with their friends or even including themselves in a photo during travels, they need not approach strangers to help them snap a photo or put them on timer (run back & forth) just to make sure they capture the perfect group photo with themselves in it. The feel of "friendship" & connection just isn't there when you put them on timer while everyone stands far away just to get in the frame unlike when you "selfie", "wefie" of "groupfie" when everyone is captured in an approximate range making the photos look much more fun! Lol this is what i meant about taking wefies. 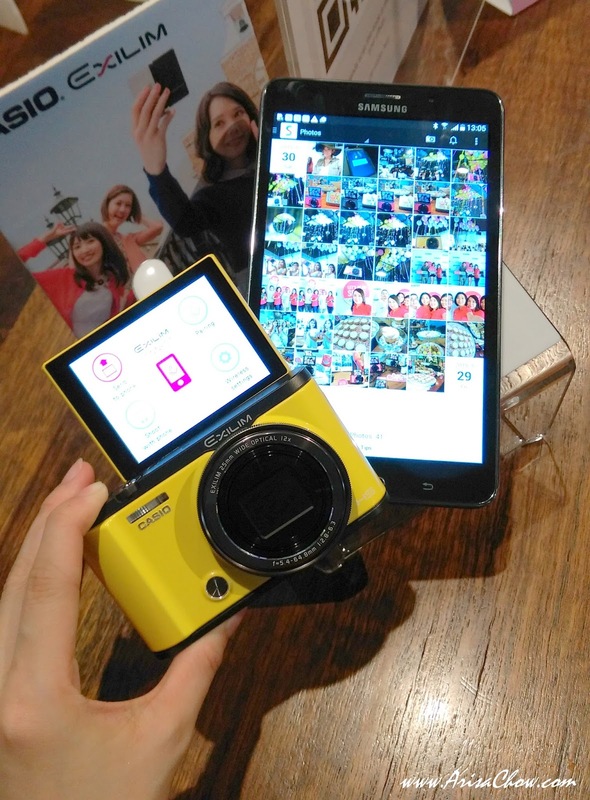 There are tons of camera brands out that jumping unto the bandwagon of creating their very own take of a selfie compact camera but none can beat the world's declared selfie winner camera brand from Japan, Casio. 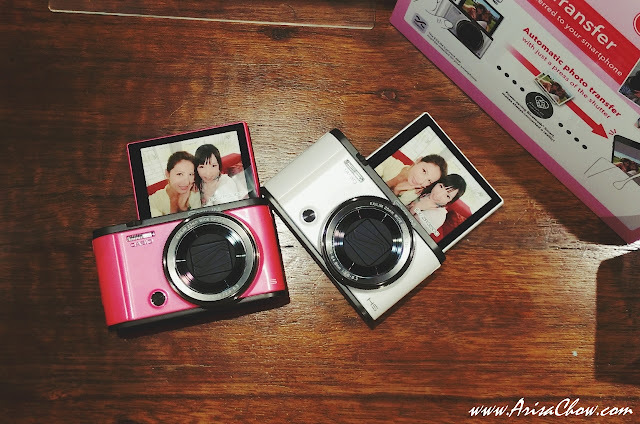 The first brand to come out their kind which won the hearts of many worldwide and till today they are still coming out with more improved versions of their first selfie cameras. Not the ordinary low quality front camera you find on your phones, this is in fact a HIGH QUALITY version of that in order to take sharp & high res selfies at the same time still maitaining its main function as a point & shoot camera that is easy to bring around to capture your daily life stories and travels. Being small in size doesn't mean it has to compromise its quality and standards, like how most people would think. This is the year 2015, where companies like these are finding more ways to break through barriers that has been holding them back previously and with today's technology everything seems possible now lol. 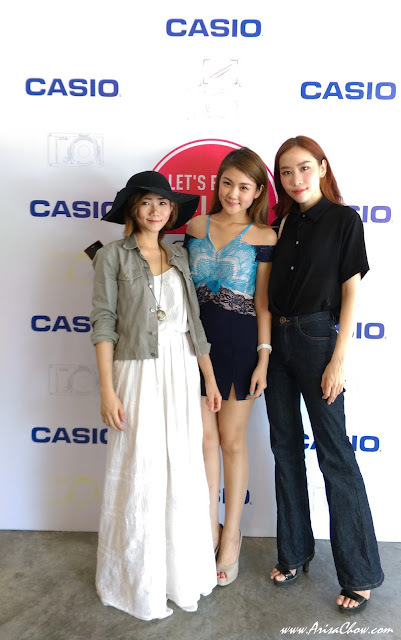 Also gotta give a big thank you to Casio Exilim Malaysia and PopCulture for extending their generous invite to me, so that i have a chance to actually try out their cool ZR3500 camera from their ZR series. Casio has a few camera series catered for different income range and also depending on what buyers are looking for in a compact camera. Example the TR series, is pretty much the high end range of selfie cameras ever provided by Casio and also a best seller among girls of all ages, mainly young adults as the starting price for TR series is RM3k lol *ouch*. 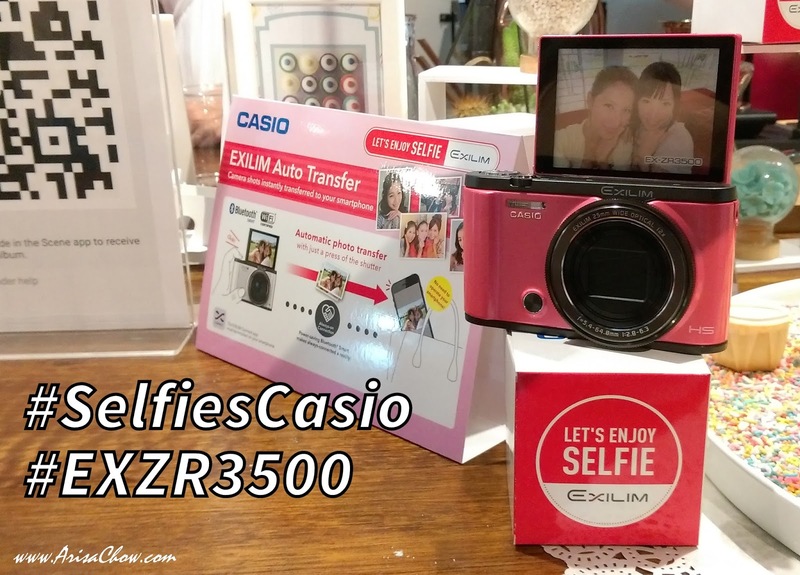 But if you are looking for a good quality selfie camera within your budget range of less than RM2000, then you might want to read on about what i have to write about ZR3500 camera. Designed to be good, practical & affordable the ZR3500 was introduced this year to the mid market range and has been selling like hot cakes ever since. Because it has all the functions you need like Make up function that uses a combination of F2.8 lens and 1/1.7 inch sensor to produce flawless selfies making it easy to share instantly on your social media networks without having to touch up anything. What is life on the fast track if having a small matter like touching up photos holding you back from sharing your instant excitements? They do not discount the quality despite the price offered, each photo taken using at night with their high sensitivity CMOS sensor which makes it ideal for late night selfies and the make up plus function that covers every single detail like eyelash by eyelash. There were only 4 units (if not mistaken) and so many girls in that room, to say love their own faces more than i do lol. Casio ZR3500 is available in 4 colours - White/ Beige/ Pink & Yellow. Personally for me if i do get to own this cute lightweight powerful compact camera i would definitely choose mine in yellow, quirky bold colours represent me well. Anyone mau get one for me for my birthday this month? Lol Just kidding! Built in with EXILIM Auto Transfer which instantly sends every single snapped photo to your smartphone as it is running on the background 24/7 as long it detects your camera is snapping pictures, this gives you immediate assess to share them online right away. There's no need to go through the hassle of switching on the app, waiting for it to transfer and all those stuff, those were things of the past. All it requires is to download the app on google play or iOS called EXILIM Connect** in ordered for your ZR3500 to be paired with your phone. **Requires phones that are compatible with bluetooth Smart. To be honest when i first held this ZR3500 i thought i was holding the display units (looks real but non functional as they were super light) but when i looked again it was actually the real thing lol! It's feather-light weight is really awesome for ladies since we tend to carry too many things in our handbags, resulting a painful shoulder. For more details on ZR3500 feel free to check out their Facebook & websites. Say Hi to the 2 lovely ladies I know for quite some time back, both also supermodels lol! Middle: Elvina Chua & Evelyn Marieta. P/SS: Oh and do check out Evelyn's own home-made skin products that just looks so adorable + 100% vegan, over here: Wunderbath Co.